We’re a BBB member, we’re licensed, and best of all we don’t cut corners! 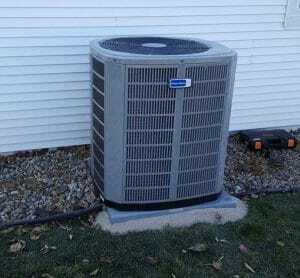 So why choose Bill’s Heating & Air Conditioning for heating and air conditioning services? Well, we like to think it’s more than just getting the job done to the highest standard that keeps the customers happy, it’s also our great all-around service. We take care to keep your house clean, all our staff are frequently drug tested and we install only the finest products, so you can be confident we’ll always come through for you in Lincoln, NE. When you have a furnace or air conditioner breakdown, you don’t want to be waiting around for the service team to show up, and you don’t want to have them lingering around your home for any longer than they have to! We guarantee that our air conditioning services in Lincoln, NE are completely on time, every time, so you don’t have to worry! Cooling and heating products and methods are constantly being improved and innovated upon, so it’s important that your furnace and air conditioning services provider is up to date with the latest industry knowledge. When you choose Bill’s Heating & Air Conditioning, you’ll be getting just that! We’re continually researching the latest innovations to ensure our customers in Lincoln, NE have the best service available. When you’re looking for heating or air conditioning services, whether for repair, installation or general maintenance, you want to put your trust in a team that really know what they’re doing. Hire the services of Bill’s Heating & Air Conditioning and you’ll be hiring a company that’s been around since 1952… we’ll let you do the math! Trust our experienced team to handle all your requirements.